I'm stopping in to give a quick update. I got another Honorable Mention Ribbon at the Topsfield Fair this year!! When I tell people that, they go "awwww, just honorable mention" but I don't have any problem with Honorable Mention. It's so awesome to go into the Arts & Crafts building and over to the "winners wall" and see my painting there. However, I did get a First Place Blue Ribbon at Deerfield Fair! What a thrill! 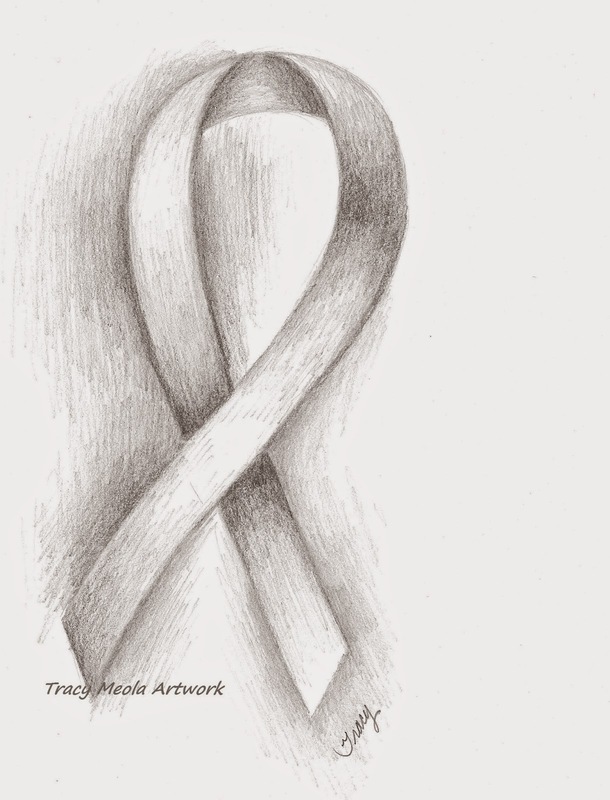 because this is October, Breast Cancer Awareness month I created a simple Breast Cancer Ribbon Note Card. My Mother and my sister both had breast cancer so it has affected two very important people in my life. I am grateful that they both survived it. I'm giving 50% of sales from this card to Breast Cancer Research. The card is in my Etsy shop. It comes as a simple graphite illustration, or with pink glitter added.